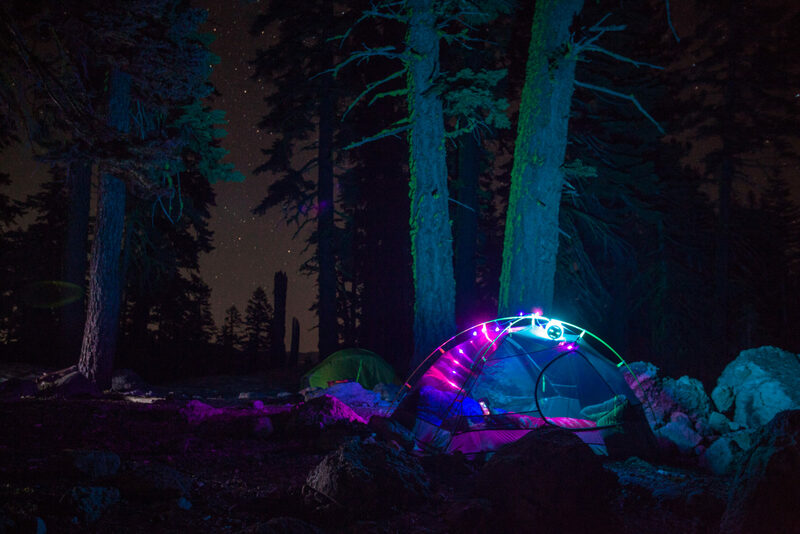 Every summer Alpenglow Sports hosts an annual, free Mountain Festival, filled with adventure and fun for people of all ages and skill levels. When I saw backpacking and backcountry gourmet on the menu, I was sold. If there’s anything I love almost as much as being outside, it’s food. And cats, but that’s a different story. 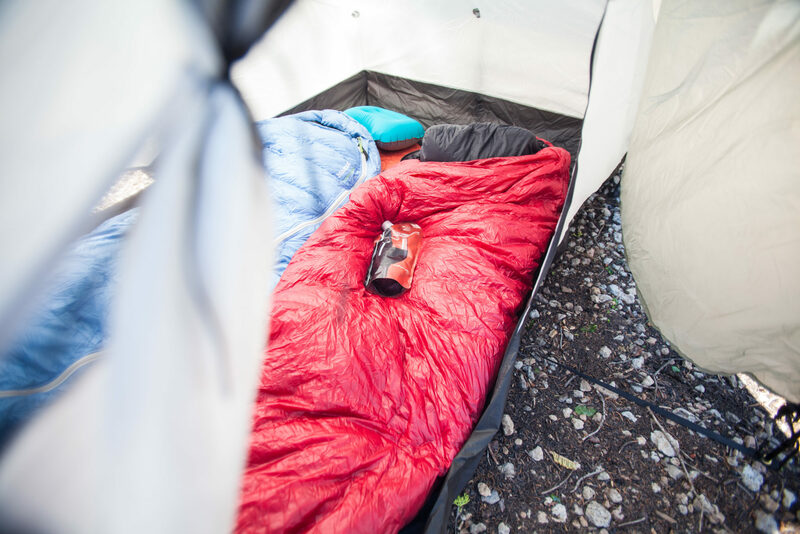 Alpenglow Sports partnered with Michelle from Adventure Dining Guide to lead a women’s trip out into the wilderness. 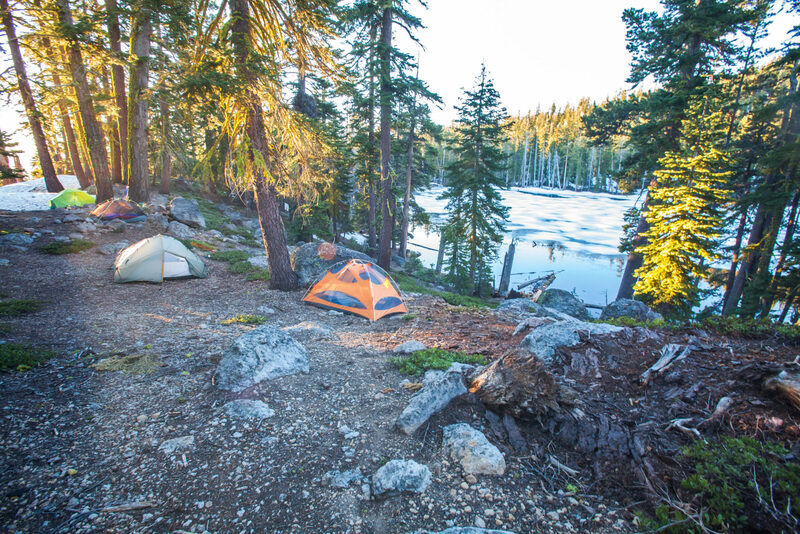 The destination was originally Desolation Wilderness, but with the ridiculous snow year, plans changed to Watson Lake. It was a little closer and suited for women of all skill levels. Coming straight from sea level, I was a little grateful for the venue change and for being spared many miles of huffing at the back of the group like a fool. The hike was uneventful. One could even say it was fairly uninspiring, save for some brief views of Lake Tahoe from the Tahoe Rim Trail. I wasn’t there for the hiking; I was there to eat. Oh, and to hang out with new lady friends too. We set up our tents and ambled around for a little bit. Then Michelle asked if we were hungry. There was a resounding yes. First up on the menu was a cheese plate with trail pickled vegetables. It turns out cheese doesn’t perish that quickly and can go for a few days without refrigeration, depending on the softness. And yes, you read correctly. Trail pickled vegetables. As we were hiking, Michelle was pickling vegetables in her pack. Next up was bourbon buffalo stew. Michelle broke out a Jetboil and a pot. In went a little bourbon, some buffalo jerky, spices, and dehydrated vegetables. It’s really that easy. The third course was my favorite: salmon hand rolls. 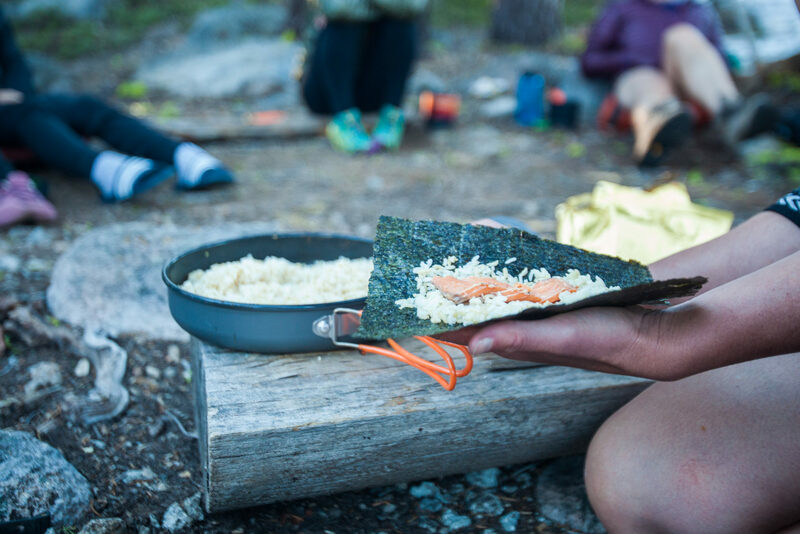 It inspired me to think of easy backpacking recipes that didn’t involve adding water into a bag. Semi-cooked rice was heated up in a pan, and that was all the cooking. We finished off with dessert, a fruit crumble composed of dehydrated fruit, oats and various seasonings. Shared around a small fire, it was an experience unlike any other. 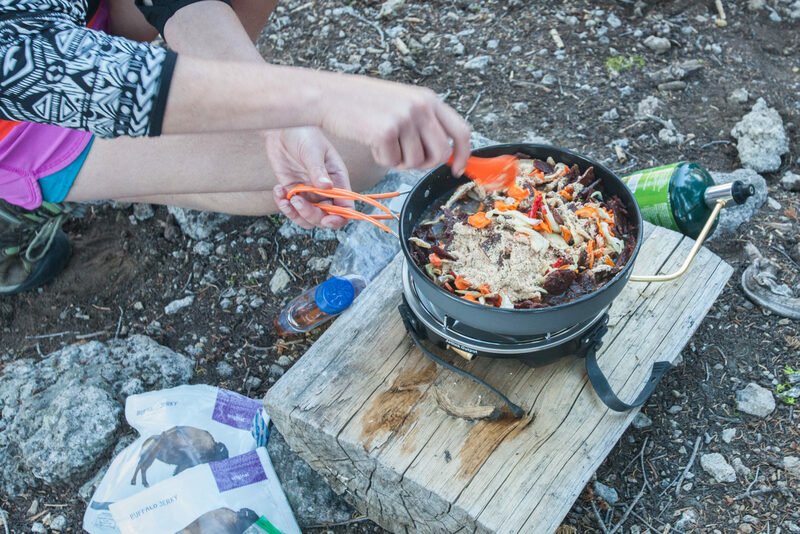 I walked away with tons of ideas of how to eat well in the backcountry. 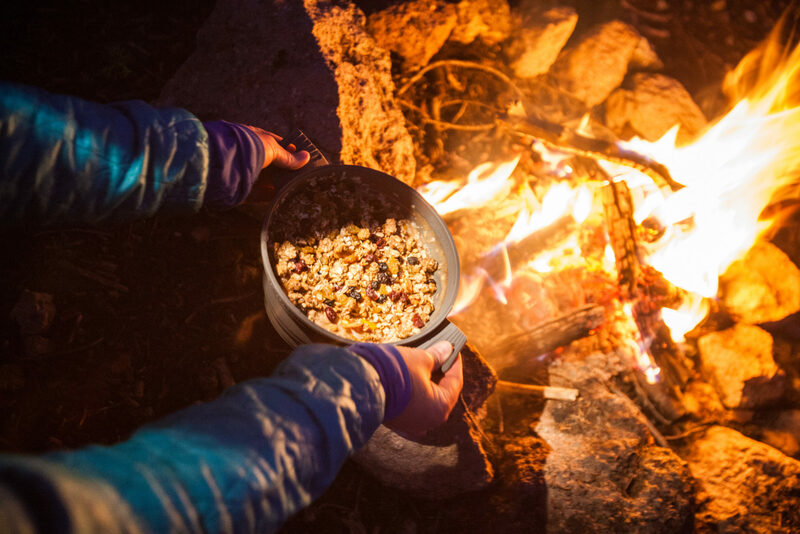 Michelle posts all her recipes over on Adventure Dining Guide. 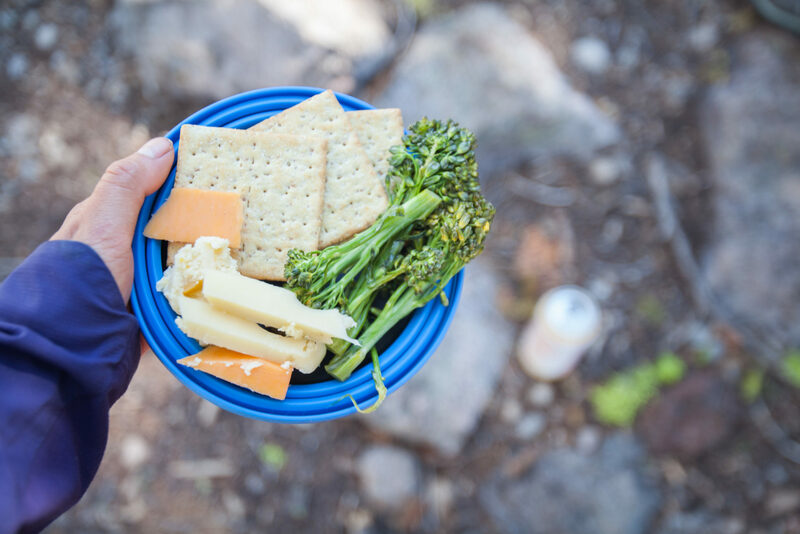 If you are looking for some camp meal inspiration, she is your go-to gal. If you’re local to the Tahoe area, she also hosts popup dinners where you hike to an undisclosed location and she cooks for you on the spot. It’s like a special eating adventure.